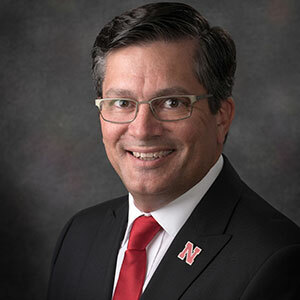 As a Professor of Practice, my primary responsibility at UNL is teaching introductory-level chemistry; however, my scholarly interests and activities focus on better ways of teaching chemistry. My research interests are in the area of learning in the laboratory, and my specific focus has been on how instruments impact student understanding. Both professional chemists and chemistry students use instruments in order to examine and analyze data. They then use that analyzed data to interpret chemical phenomena. However, although professional chemists and students alike use instruments as tools for understanding, little research has been done on the impact of these instruments on understanding. Investigating the impact of instruments on students’ understanding is important because instruments are increasingly used in science and science education. Studies have shown that scientific instruments can impact student understanding of scientific concepts and their attitudes toward learning. Nakhleh and Krajcik (1993,1994) found that the type of instrumentation that high school students used to study acid-base phenomena influenced their understanding of those phenomena. Malina and Nakhleh (2003) found that experimental designs and objectives influence the affordances that students perceive in instruments, thus instructors must be cognizant of their objectives for having students use instruments in a laboratory setting and choose instruments and procedures that are consistent with those objectives. Other studies have found that students perceived the instrumentation as being aids to learning as well as motivational (Malina, 1999; Auberry 2002; Eichinger, Nakhleh and Auberry , 2000). Overall, these studies seem to indicate that the use of instruments impacts both students’ understanding of chemical concepts and their attitudes toward learning science. My research typically uses the methodological framework of phenomenography (Marton, 1981) with the distributed cognition model (Salomon, 1993) in conjunction with Gibson’s theory of affordances (Gibson, 1979,1982) to identify the affordances of scientific instruments that impacted students’ understanding of chemistry concepts and interpretation of data. Affordances are what something provides, furnishes, or offers to someone and are fundamentally linked to the perceptions of a person in a given situation. This perspective has provided a useful framework for analyzing how people use the tools and artifacts in their environment to support their thinking and learning. Current research is focusing on development of introductory-level chemistry laboratory activities and assessment of the impact on student understanding of concepts, learning of laboratory techniques and methods, and understanding of the nature and process of science inquiry. (1) The impact of the Purdue Instrument Project on secondary chemistry student learning and attitudes towards science. Malina, E. G. (1999). Unpublished master’s thesis. Purdue University, West Lafayette, Indiana. (2) How students use scientific instruments to create understanding: CCD spectrophotometers. Malina, E. G., & Nakhleh, M. B. (2003). Journal of Chemical Education, 80, 691-698.